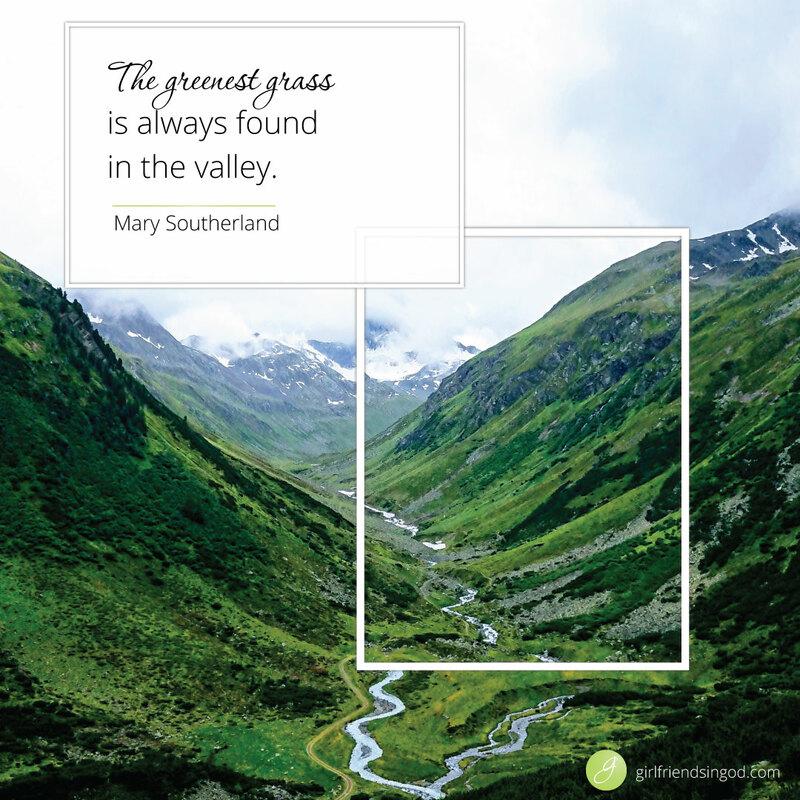 The greenest grass is always found in the valley. Shepherds and sheep are well acquainted with the fact that both mountains and valleys are an inevitable part of life. Remember – the shepherd has to figure out a way over the mountain and through the valley. If a sheep is injured, the shepherd must carry his sheep and tend to its wounds until they are healed and the sheep is ready to return to the fold. The shepherd’s whole world revolves around the safety and comfort of his sheep, even in the deepest valley. Valleys are a certainty of life. Your job is eliminated. Your husband is having an affair, or your teenage daughter is pregnant. Financial pressure suffocates dreams, or the betrayal of a trusted friend inflicts a wound so deep and painful that you long for that valley of death. Each day is thick with fear, and your heart is filled with disbelief. The valley may suddenly be before you in a time of loneliness or in the shock of a dire medical diagnosis. The death of a loved one can derail a life. The death of a long-held hope can plunge us into a slimy pit of despair and darkness. Dreams that have slowly died or relationships that have abruptly ended can leave us stranded and alone in our own personal valley of death. Are you discouraged…afraid…desperately trying to find enough energy to simply breathe? God knows. And He really is your shepherd. 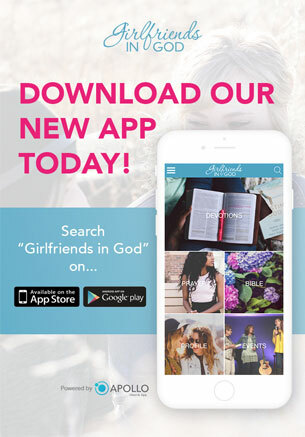 He understands that you may only be able to take one tiny, almost imperceptible step of faith. But He sees you, and just like a parent applauding their child’s first stumbling step, God will applaud will honor your choice to take it. By faith, accept the truth that God is always at work in your life and thank Him for His steadfast provision. Look back over the past few days, weeks and months of your life. Now praise Him for the things He has done. Read Proverbs 3:5-6. What are the steps listed in this passage that – when taken – will help you walk by faith? Our faith is tested when the storms of life hit. Are you sitting in a rocking boat that you fear is about to capsize? Mary has a message of hope for you! 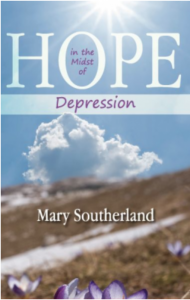 Check out her book, Hope in the Midst of Depression and discover how to find strength and the courage to face the trials in your life. Such a beautiful picture of the shepherd caring for his sheep. Thank you for the reminder about where we put our faith. so true right now…have a lot of ‘valleys’ going through. 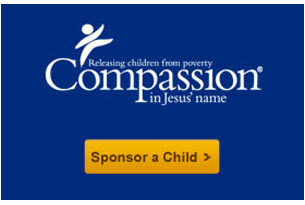 (health/finances/recooperating still from surgery had few weeks ago./ hubby and I are foster/foster to adopt parents. we had to switch agencies and just feel back at the beginning on that. feel like we wont get a break but that’s is where have to have faith. feel like we wont ever get placed with another kid. but need to trust God that it is in His timing His will if it is meant to be.